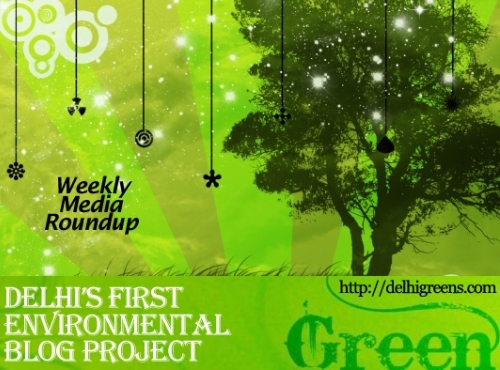 Weekly green news update from across different media networks for week 27 (between July 4 to 10) 2016. The Centre on Monday told the Supreme Court that diesel is not the only ‘devil’ responsible for polluting city’s air as it fought against the court’s proposal to impose a green cess on the purchase of diesel-run cars with engine capacity of above 2,000cc. As part of an action plan to control pollution, the Central pollution Control Board has directed Delhi and other NCR states to consider introduction of flexi-staggered office timings to reduce peak-hour traffic, the Centre has informed the Supreme Court. Delhi is surely not a model city as far as municipal solid waste is concerned. A meeting to give a final shape to the decision will be held between Water Minister Kapil Mishra and senior officials of the Delhi Jal Board on Monday. After prohibiting construction and repair within one metre radius of trees, the National Green Tribunal has directed the Delhi Development Authority to submit progress reports on deconcretisation and protection of trees in the national capital twice a year. The Supreme Court-appointed green panel EPCA has recommended up to 25% pollution cess on the cost of diesel cars above 2,000 cc, which was multiple times higher than the figure suggested by a few automakers. Trucks and heavy vehicles flouting traffic rules entering the city are facing a police crackdown. Pulling up the city horticulture department for failure to plant 2,000 saplings for cutting down 216 trees in a Northeast Delhi colony, the National Green Tribunal has slapped a fine of Rs 10,000 each on two officials for non-compliance of its orders. The apex pollution monitoring body today told the National Green Tribunal that the decline in vehicular emission during the second week of odd-even car rationing scheme here in April was not a dominant enough factor to impact the pollution levels. The National Green Tribunal has directed the Railways to “strictly” impose a fine of Rs. 5,000 on those littering rail tracks. Under attack from the National Green Tribunal for failure to keep the tracks clean, the Railways has sought to shift the blame on Delhi government for not relocating slum clusters from its land by allotting them flats despite directions of the green panel. The government will launch more than 300 projects along the banks of Ganga, ranging from construction and modernisation of ghats to afforestation of river banks, on Thursday under the Namami Gange programme to clean and protect the 2,500 km long river. Upholding it previous order, the National Green Tribunal earlier this week prohibited the use of interlocking tiles along roadsides and in parks and maintained that paving can only be done within permissible limits in Ghaziabad district. Yet another destructive implication of climate change is now on records. With each passing months the polar ice caps of Arctic region has been dipping into new lows.